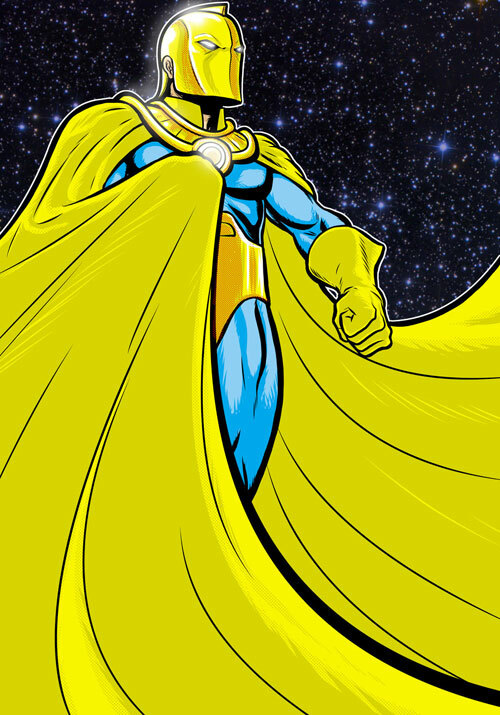 Today we’re looking at some fan-created art of Doctor Fate! In case you weren’t aware, Doctor Fate is one of my all-time favorite superheroes! Click here to view my other Doctor Fate related posts. 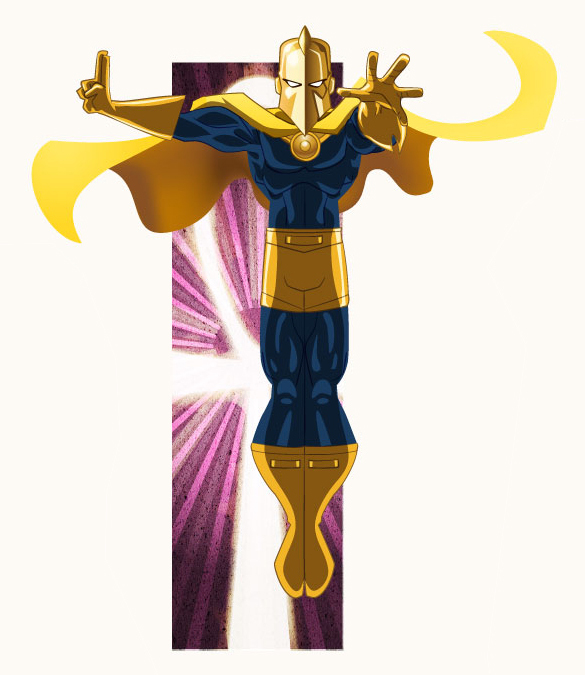 First up we have two fantastic images of Doctor Fate by Terry Huddleston (Thuddleston on deviantART). I LOVE this pop-art style! The good Doctor’s helmet always looks cool, but Terry makes it especially awesome! Terry has done more fantastic head-shots and full-body poses of various Marvel and DC characters. Click here for Terry’s DC head-shots and click here for his DC full-body poses. So cool! 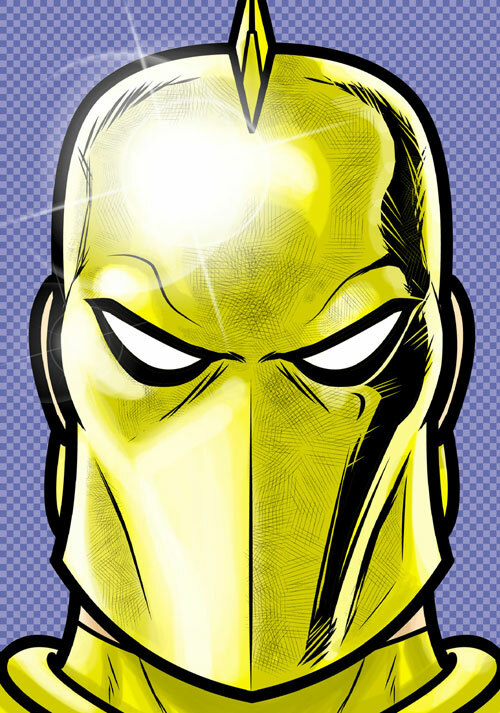 Next up we have Doctor Fate by Alessandro (AlexMax on deviantART). I love the stylized look! As seen below, this is actually just one section of a larger drawing featuring seven members of the Justice Society. Click the image to enlarge. Click here to be taken to Alessandro’s deviantART page for an even closer look at this spectacular piece. See below for the other JSA group shot Alessandro drew. Click the image to enlarge. Click here to be taken to Alessandro’s deviantART page for an even closer look at this gorgeous piece. My thanks to Dan from the It’s a Dan’s World blog for leading me to Terry Huddleston’s work. My thanks to Frank Lee Delano for leading me to Alessandro’s work. Check out Frank’s Power of the Atom blog for a great Hawkman by Alessandro, then follow the links for four more cool pieces by the same artist! Finally, check out Firestorm Fan today as I’ve got artwork of Firestorm by Terry Huddleston and Killer Frost by Alessandro! Thanks for the shout! Huddleston rocks a mean Martian Manhunter, as well. Wow Shag, those JSA pieces by Alessandro are amazing. I love all versions of Hourman, but that piece makes me miss the android version quite a bit! Thanks for the plug, and glad the Dr Fate number worked it’s magic for ya! One of the great comic designs of all time. I love the way he works in live action too. I would love to see a Dr. Fate tv show.